Smoking is a habit that is caused not only by physical dependence on nicotine, but also by psychological dependence. When we smoke, we introduce a series of substances into our organism that generate pleasant sensations in the short term, but are very damaging to our health. Cigarette consumption causes lung cancer, heart disease, emphysema and other serious illnesses in smokers. Smokers are much more likely to develop serious illnesses than non-smokers. There is no such thing as a "safe" cigarette, nor is there a risk-free level of consumption. All cigarettes are dangerous. The solution is to quit smoking. But for some people it's not easy to achieve this without professional help, and this help isn't always available to everyone. This is why Stop Tobacco Mobile Trainer was developed. It's an application designed for those who want to gradually quit smoking with the help of a virtual therapist who will guide you step by step, until you stop for good. In order to quit smoking, we tackle the two needs that have been created: psychological and physical. We improve your ability to quit smoking by teaching you behavioural strategies and psychological mind resources. With this application, you'll strengthen your motivation to quit smoking, you'll learn to manage anxiety, you'll invent tricks to beat the hook of tobacco and you'll learn to control your environment so that you're better adapted to the changes in this new stage of your life. 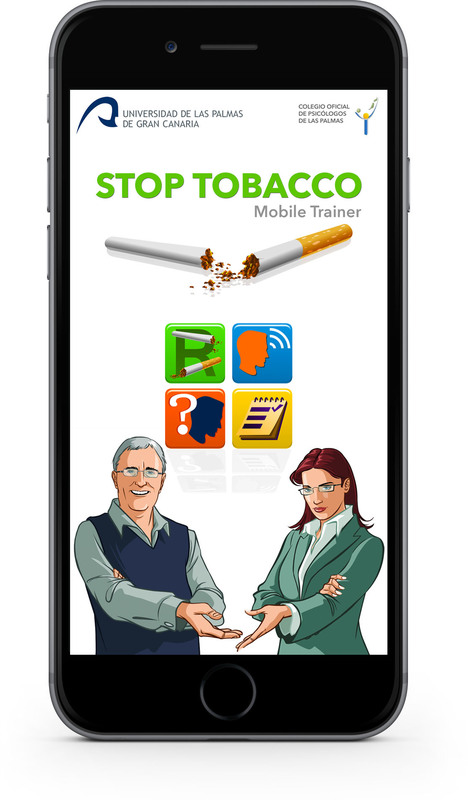 The Stop Tobacco Mobile Trainer app was developed for mobile devices, and it uses the AIRE programme developed by the University of Las Palmas de Gran Canaria. With the traditional programme, the success rate is 80%.